A verdict has been reached in the trial of a Cleveland police officer charged in the 2012 deadly police chase and shooting. Judge John O’Donnell will announce the verdict at 10 a.m. Officer Michael Brelo is charged with two counts of voluntary manslaughter for the deaths of Timothy Russell, 43, and Malissa Williams, 30. Closing arguments in the month-long trial were presented on May 5 and Judge O’Donnell was left to deliberate. If convicted, Brelo, 31, faces a maximum sentence of 22 years in prison. 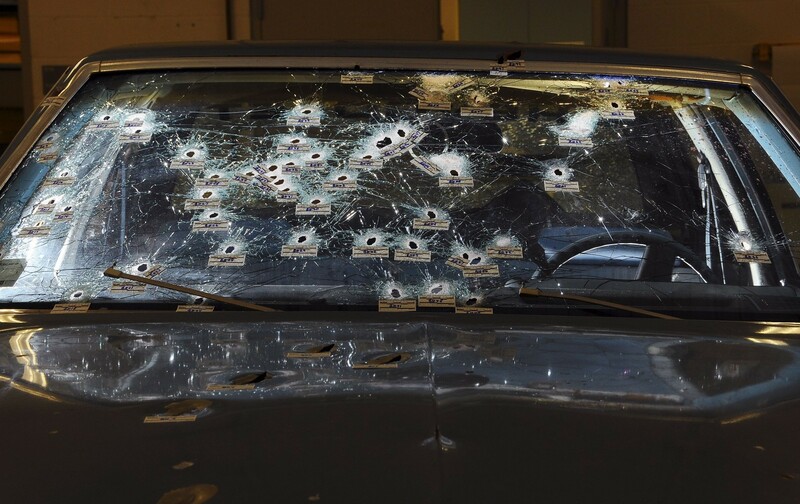 In the school parking lot, 13 Cleveland officers fired a total of 137 shots at Russell’s 1979 Chevrolet Malibu. Investigators from the Ohio Bureau of Criminal Investigation said 49 of those shots came from Officer Brelo’s Glock 17. His final 15 shots were fired from the hood of the suspect’s car. According to the Cuyahoga County Medical Examiner’s Office, Russell suffered 23 gunshot wounds and his passenger, Williams, was shot 24 times. A team of Cuyahoga County prosecutors called 45 witnesses, including 20 police officers, multiple BCI agents and a number of experts. They presented shell casings, foot prints and hundreds of photos as evidence. “Timothy Russell made some bad decisions that night, but it should not have been a death sentence for him,” assistant prosecutor Sherrie Royster said. 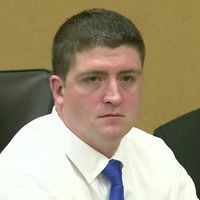 Read More Live coverage: Verdict reached in trial of Cleveland officer Michael Brelo | fox8.com. This entry was posted in News from the Soul Brother and tagged Cleveland, Malissa Williams, Michael Brelo, police abuse, Timothy Russell, trial, Verdict. Bookmark the permalink.